Item not available for online purchase. Contact us. 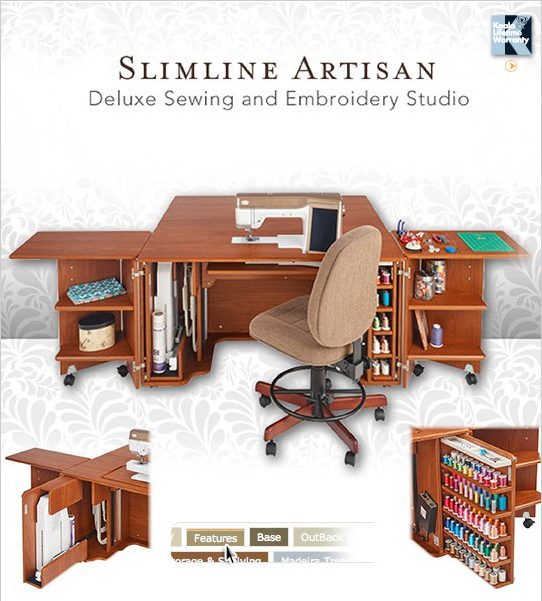 The Slimline Artisan's Embroidery Module Closet was specifically designed for most Baby Lock and Brother sewing and embroidery machines.Click Here for more information on machine compatibility.